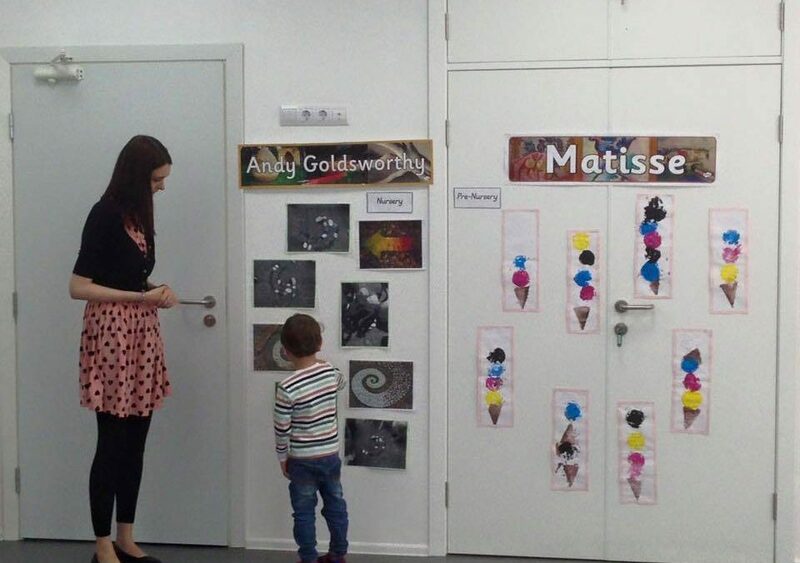 Art Week saw our children and teachers explore with art and varying types of creative materials, from 28th May- 2nd June. From installations to fine art, the children used a number of different artists as inspiration to produce their own art. Pre-Nursery explored with colour and technique, looking at Jackson Pollock, Paul Klee and Henri Matisse. They made marble paintings in the style of Pollock, Matisse inspired ice-cream prints and Klee shape pictures. Nursery spent the week being inspired by Banksy, Andrew Goldsworthy and Antoni Gaudi. They made Banksy style stenciled street art, Gaudi mosaic buildings and pebble installations in the style of Goldsworthy. Reception looked at a diverse range of artists including, Paul Klee, Raoul Dufy, Claude Monet. M.C Escher and sculptor Alberto Giacometti. They made geometric patterns, sculptures and watercolour paintings. At the end of the week, we transformed our school hall into an art gallery and invited members of our families and local community to come and view our work on display. Visitors to our gallery were very impressed with our efforts!